29:44 Tips for taking action! Tom: 00:00 This is Workflow Episode 13. Workflow is the podcast that helps teams figure out the best way to work, collaborate and get stuff done. Brought to you by Rindle. Hey everyone. I’m Tom. Tom: 00:32 And we’re the co-founders of Rindle and this is our podcast Workflow. Today we’re talking about how spreadsheets kill your productivity. Brian: 00:39 Awesome, before we get into that, I would love to just touch on some things that are happening in Rindle. Yeah, one thing that’s happening here at Rindle in our workflow is we’re starting to use mirrors in our product management workflow which is exciting ’cause were starting to test things out and just kind of look at different scenarios and how we’ll use them and leverage them and so far it’s really having a positive impact. Tom: 01:03 Yeah, definitely. I think we already see some places that we can improve upon things like maybe a batch operation for actually creating mirrors, especially on sub-tasks. But yeah, other than that it’s been really, really awesome. Brian: 02:14 So I went to the dashboard, searched for it, found it and it was on the feedback board actually and right from the dashboard I moved it from incoming feedback to on road map ’cause we were discussing implementing it and because of all the automations and everything we have set up, from automatically mirrored right from there mirrored to the road map all from me not leaving the dashboard, which was awesome. So no extra leg work for me jumping between boards and tracking stuff down. No extra data entry, copying task, duplicate task, all this stuff and it was done with one click which is I think what we’re setting out to do with automations and all the things we’re doing. So, it was really, really cool. Tom: 02:57 Awesome. Another thing that is happening actually at Rindle which just occurred to me is we’ve actually been getting a couple additional requests for people wanting to meet with us to talk about their workflows and potentially how they could best set up their workflow in Rindle which has been pretty awesome I think. It’s always just good, even if you think you have a good workflow to maybe get a second pair of eyes on this, a second opinion on it. Yeah, I think it’s pretty awesome. I think that, shameless plug, if you are a user of Rindle and you do want to, us to help you with your workflow at all or just a second pair of eyes on it, please feel free to reach out to us. Brian: 03:43 And where should they reach out to Tom? Tom: 03:44 They can reach out to us at our voicemail, 860-577-2293 or email us at workflow@rindle.com. We’re happy to help. Brian: 03:55 Yeah, and that kind of goes for everybody. If anybody has questions or anything like that, use that voicemail number and e-mail. Also we love reviews, so help us reach more people. Leave a review on I-tunes, wherever you’re consuming this podcast. I would be greatly appreciate it. Tom: 04:09 Awesome. On to the main topic. Spreadsheets are killing your productivity. Brian: 04:14 Yes. I think this is a great topic. I think there’s tons of information about spreadsheets and why they’re good, why they’re bad. You can do a Google search and find tons of information. So I wanted to stay away from the dos and don’ts of spreadsheets, but I did think that talking about a use case, a particular use case I did with a customer demo or a potential customer demo where this person actually used spreadsheets in their business. Currently they were looking for a solution to kind of ease some of the pains they were having and I found it interesting that with all this information out there on spreadsheets and spreadsheets obviously do have their functions, but there are people our there and teams out there who are still using spreadsheets to manage projects or various workflows. So I thought it would be more interesting to kind of dissect this person’s workflow and their use of spreadsheets to talk about this topic instead of just looking at kind of the generic dos and don’ts. Tom: 05:11 Absolutely, yeah. And I think we just wanted everyone to be clear that we are big advocates of spreadsheets. We use spreadsheets on a weekly basis, we just don’t use them for managing projects. So this was really to talk about how you might not want to use them to manage projects, not to not use spreadsheets at all ’cause I don’t think we could survive without spreadsheets to be honest. Brian: 05:33 Yeah, no. Spreadsheets, again we’ll get into the reasons why. We’ll even get into some of the ways that we use them here at Rindle, but spreadsheet’s a great tool. So we use them all the time like we said and definitely a valuable asset to have. Cool, so let me kind of give the scenario for this customer demo. This particular customer basically has a workflow that flows documents and content in for their various clients through workflows consisting of approvals and other things. Copy editing, other things that have to be done to these documents and then when they’re done they filter back out to the customer. They’re in the healthcare space and that’s basically kind of their use case. So they are using spread sheets right now to manage all of that work. The way they’re doing that is they have a spreadsheet for each customer, so all of the documents they’re managing for each customer, their deadlines, all the due dates, who’s working on what, all those things and then they have an additional spreadsheet on top of that where they track priorities. Brian: 06:38 So across all the projects, there’s somebody in charge of saying, “Okay. Well today we have to tackle X, Y, Z across these five customers. I’m gonna now copy those tasks from those respective spreadsheets into the priority spreadsheets so when everybody comes in the next day they know exactly what priorities have to be worked on. So they’re using spreadsheets in a couple different ways there, but the way they’re doing it definitely means that the same tasks live in different, multiple sheets, multiple spreadsheets because they are leaving them in the client project, right? In the client spreadsheet and they’re basically copying it into the priorities so now that task lives in two different spreadsheets. Tom: 07:21 Sounds like it probably initially was pretty awesome but as they’re growing it sounds like it could be a real pain to maintain this sort of structure. Brian: 07:29 Yeah and actually I think that’s a great segue to why do they use spreadsheets? But they actually have a PM solution house which I was shocked to find out. So they do have something in house, but it’s really just being used to track time for various reasons. I think they found it hard to use and whatever else was going on. So, even on top of having a PM solution that they’re paying for and is available for everybody in the company, they still went with this spreadsheet angle. Tom: 08:01 So they’re tracking time in this PM solution, but they’re not tracking tasks in it? Brian: 08:06 Correct, because the task interface and everything like that, they found very clunky and hard to use and the spreadsheet was much easier, so the other reasoning of why they’re using them is because they’re already using goal sheets, right? So they’re G-sheet users. They’re already available of course to the whole company. Everybody generally knows how to use a spreadsheet, right? And that’s how they put it, like “Well it’s kind of like a zero learning curve. 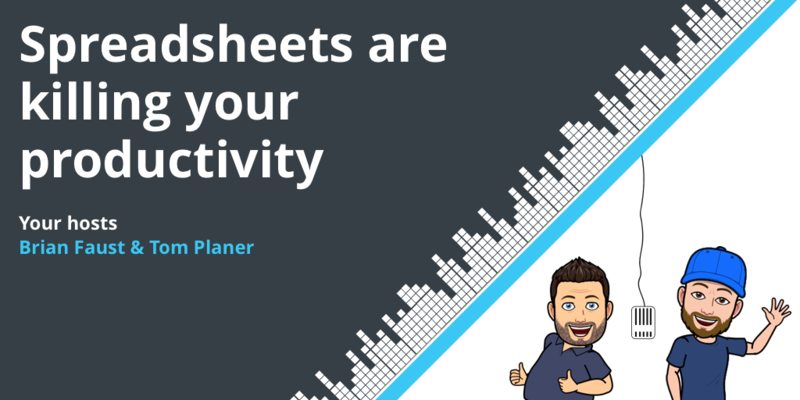 You can kind of create a spreadsheet, share it with people ’cause Google Sheets is collaborative which is an upgrade from your typical old school spreadsheet they email around and everybody can really pretty much get rolling with it pretty quickly. That was fairly easy for them to get up and running. It was low overhead. It was a tool they already had, not additional cash or output that they had to put in to acquire it and they got everything running up fairly, with little road blocks at least. Tom: 08:59 Crazy. So, so what are the issues? Brian: 09:02 So I thought it was interesting that they use these spreadsheets for their workflows and they went into detail about kind of the reasons why they made this choice, so obviously I think there’s a thought process involved that goes into this. That “Hey, we have this on hand. We have this on hand. What should we use?” and the decision made. And then they quickly got into “Well here are the issues we’re facing because of this decision and using these spreadsheets.” So the priority sheet that I talked about, that one sheet that kind of centralizes all the priorities into one place so everybody can see it in one sheet and not have to jump around a bunch of sheets isn’t connected in any way to the client sheets. As I mentioned, the tasks are in different places so basically they have an immediate problem of data disconnect. So they’re copying, pasting it from one sheet to the other. That automatically disconnects it so as somebody works on it in the priority sheet. Say they check it off or go into the cell and say complete or however they were doing it, that doesn’t trickle down anywhere, right? Brian: 10:03 So they have to actually go to two sheets and mark it complete because they’re not actually removing it from the priority sheet because people are trying to see status of what’s going on from the priority sheet. So that was a pretty big, big downside. Tom: 10:16 Yeah, that sounds like a huge disconnect there. Brian: 10:19 Yeah, so moving tasks around was another issue because they’re constantly prioritizing them. So moving even like a [comma 00:10:30] on board or something like that, prioritization top bottom something like that, so as even on the priority sheet there were priorities within the priorities, right? And they’d be moving things to the top of the sheet in order to say, “This is next to be worked on.” So, just simple things like that, like copying the task, inserting a row, inserting that paste to get in is just not easy, as easy as some of the other systems or software that’s out there to be able to do that. So it was just very time consuming and very manual. That really tells the whole story, right? Which is, I did this demo obviously so I have all this background information, but between the demo why they use the spreadsheets and the issues that really kind of completes the story of what we’re talking about here. So the next thing to talk about is really what are the downsides? Brian: 11:17 Just talking generally now, getting into the spreadsheet conversation about “Hey, spreadsheets really hurt your productivity.” So, from that whole scenario, what are the real downsides of using spreadsheets? And I think the first one is spreadsheets are not designed to manage projects. 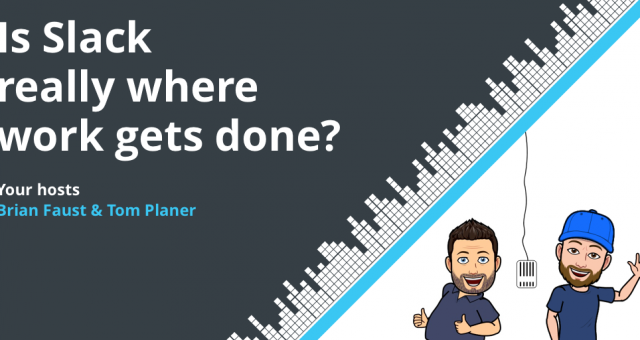 Maybe simple checklists, maybe simple projects really, really simple, but they’re really not designed to do that and that’s why we have all this project management software on the market available to us because there are a lot better ways to do it than spreadsheets. I think that’s the first obvious point. Tom: 12:00 … Used it to manage project is the same thing with a spreadsheet. Spreadsheets are really meant for doing formulas, doing accounting if you will. It just happens to be that they’re kind of easy to use and you can do a lot of programmatic things with them, so people tend to extrapolate that and use them for things that they probably shouldn’t be used for, right. That they trying to basically use put a square peg in a round hole, right? Brian: 12:30 Yeah. I mean its kind of like email, you can make this argument probably about any piece of software. But I’ve heard before too. Well, how do you manage your work now, how do you communicate with your team, how do you all this stuff? Oh, we do everything in email, right that’s kind of like, “Whoa, you do everything in email?” That probably happens today and certainly happened 10, 15 years ago, quite a bit. Brian: 12:49 Then the complaints started happening. Well, it’s really hard to track down conversations and then when the thread gets really long, it’s hard to understand where you’re at, right. Again Gmail’s not, er Gmail, email’s not meant to manage projects, right. So, you immediately start to run into these problems that’s like, wow, it’s hard to follow the conversations and we have multiple projects going on, well, yeah, you’re going to struggle because it was not designed to do that. And the same thing for spreadsheets. Tom: 13:13 Sure, cool. Yes, so I think another downside, is that spreadsheets are not designed to manage complex workflows, right. Again, you might start off, and this might be awesome, right, it might be awesome to plan out what the workflow should be because it’s easy to quickly manipulate data and moves around. Once you actually settle in to a workflow, especially a more complicated workflow, actually executing that within a spreadsheet is hard, it’s hard to do, it’s hard to do it consistently, right. 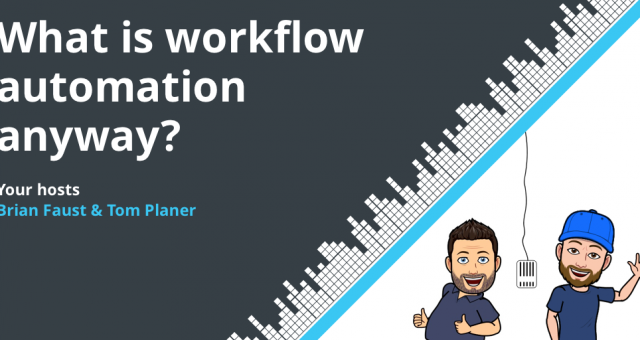 You don’t have any sort of means for limiting the workflow or automatically doing things to assist the workflow. Spreadsheets aren’t really good for that sort of stuff that you do find in project management softwares. Brian: 14:09 And even like complex workflows in a way that a task might move from place to place, so, even this example, they had spreadsheets set up for every customer, right. Imagine us trying to do our product management workflow, that way we have four boards right now, right involved in our process and our flow. We probably have a spreadsheet for everyone and we’re moving tasks from sheet to sheet and that’s like a copy, paste, whatever’s going on there and it’s really again, not designed to kind of manage something moving from multiple sheets inside the eco-system of spreadsheets. Brian: 14:47 Where something like Rindle or something that’s designed for PM is much more adequate. 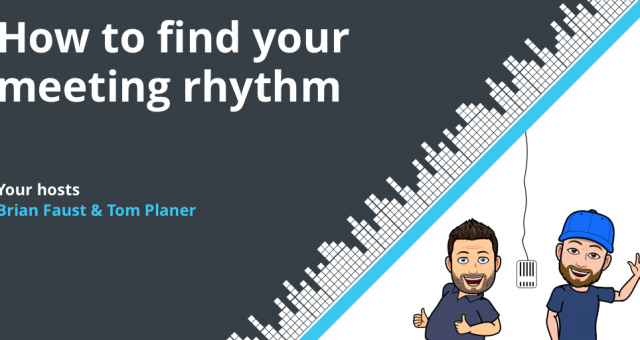 Tom: 14:53 Kind of going a little further on the previous statement of, you might save time upfront but in the long run, you’re going to definitely end up spending more time actually managing the project or managing the work but instead managing the spreadsheets. You’re going to be constantly doing data manipulation or moving data to various things. Like this particular customer that we were talking to like a constantly have to update this over watching spreadsheet that tells them statuses like, a true management software should have some sort of report, which we’d give you probably similar information to that. Or they might not need it at all in that software because it might just be easier to view multiple boards or multiple projects in the same location. Brian: 15:51 Yeah, I think it’s probably one of the bigger take away from this conversation because hindsight is 20/20, a lot of the reasoning as to making decision to use spreadsheets was, “oh, ease of use, everybody knows it, there’s less barrier to entry,” all of these things, and the main complaints now looking for a solution to improve their productivity are, yeah, we just wasting tons of time and the spreadsheets. We’re constantly in there updating stuff, updating things in multiple places, all these things are happening. I think that’s the biggest lesson because something especially like this looks really easy to get going, in the beginning, but in the long run for sure, you going to get yourself into kind of like a tangled web. Where it’s like, Wow, we’ve already invested all this time to get these spreadsheet built and flowing and now were in this mess of like every body’s just spending most of their time updating spreadsheets or tracking information down, whatever it is that might be going on. Brian: 16:47 In the long run it just doesn’t make sense in that way. Tom: 16:50 It’s also hack at the end of the day, right. And you’re going to ultimately, there’s going to be some sort of learning curve with whatever software that you end up picking in the long run and you’re basically just doubling that at this point because you’re creating your own special way of doing things and then you still going to ultimately probably switch over to a project management software. Then have to learn that project management software. Tom: 17:16 So, yeah, you want to kind of cut that out. Brian: 17:47 I think the trouble becomes when that move doesn’t happen or now you’re a year down the line and you have all of these spreadsheets kind of tangled together and you’re in this mess. So I think it’s, like you said, it’s a hack. You certainly leverage that hack if you want, but it’s to look at it that way I think it’s smart. It’s a temporary kind of hackey thing that you wouldn’t want to implement in the long run. Tom: 18:09 Since there’s this tangled web of things, of spreadsheets, different spreadsheet that are disconnected that are aggregating data. But manually I agree doing for the most part, the potential for your data to not be accurate is pretty high. Especially in the example that you just gave. Brian: 18:31 Yeah I think, I always say, “The second you use something like a spreadsheet, the second that you put data in two different places, or whatever might be,” and it may not even be that, it could be even just updating things and somebody forgetting to do something. Or whatever it might be. Usually those are pretty much out of date almost instantly. Tom: 18:50 It’s really crazy because it’s just not designed to handle that kind of collaboration and updating and constant kind of piece of data being add and grabbing another piece of data by multiple people and shared and all this stuff. It’s almost out of date, almost the second you start to use it. Brian: 19:10 When you basically get into the manual manipulation of things, across multiple team members, across a larger amount of time. That basically equals drop off. That you are going to create points in your workflow where things are going to fall through the cracks. Whether it’s communication that somebody needs to do something in the next step of the workflow or it’s missing data because somebody didn’t update the spreadsheet or it’s missing data because they forgot to update it in three parts of the spreadsheets, right. Brian: 19:36 All these situations just cascade and before you know it, there’s this huge issue. Tom: 19:42 Sure, actually at previous company which I worked for they actually used spreadsheets in order to fill a need for a [inaudible 00:19:54] management system in order to update a product they were using. Then they ended up building additional spreadsheets in order to keep track of various things in order to ensure that things didn’t fall through the cracks when things were getting updated. Tom: 20:09 So you’re basically just building on to the same structure that is already kind of poorly laid out. And then on top of that, they just were running into overall issues with the spreadsheets and the size of them at a point. Because spreadsheets can only take you so far, especially Google Sheets. You’ll eventually run into these issues that no matter how clever the process is or clever the design of the spreadsheet is, it’s going to start to fail. It’s going to start to break down. Brian: 20:49 Yeah, I think just manual process with any situation gets into these drop off, like you’re saying, building additional processes to avoid the drop off right. You’re building manual processes on top of manual processes. Anytime you have manual process, whether they’re stacked 10x or there’s a single manual process, there’s that human error element, there’s that drop off risk. So I think that’s a good point that when you have something that’s broken broken already a little bit, like, “Ah, that’s a little manual, it’s a little annoying but we can do it.” Then you start plugging it with other process, okay, but yeah to fix that, we’ll just do this, this and this. And Joe remember to do that and talk to Suzie about this. And that will solve that problem. Right now you have another working process that has human error and drop off possibilities. Brian: 21:38 So it just really, like again, cascades uncontrollably, depending on what you have going on. 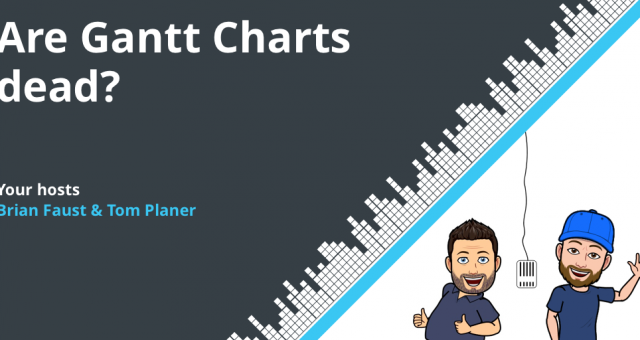 Tom: 21:45 I think it’s pretty funny that people actually do try to use spreadsheets for something like project management because I think there are, not only great tools out there, but tools that will increase your productivity, right? You’re wasting so much time now if you’re using spreadsheets. But why not, not only get that time back, but improve productivity for the future. Brian: 22:11 Yeah, there’s definitely an abundance of PM and Workflow applications, just like Rindle on the market that are really designed to handle these issues. Various solutions, various reasoning and problems are solving and all those good things. Brian: 22:25 But they’re really, and I think I agree, with the availability of what’s out there, where we are today in business, I feel like there’s really no excuse. Even if you put a very simple minimal solution in place. Because you’re not quite sure what you need or want. It’s probably better then going down the spreadsheet route for all the reasons we talked about today. Brian: 22:48 Because it’s just going to have the inherent collaboration and multiple data points being updated, all these things are happening will just inherritanly be better. Tom: 23:00 Definitely. Especially when you add in automation. One of our favorite topics, we talked about automation in 12. We’ll probably be talking about in future episodes as well. But that’s something you really can’t do. At least you can’t do it easily in something like Google Sheets or a spreadsheet just in general. Like in Google Sheets if you wanted ended up doing do some sort of automation. You’re actually going to have to program it. You’re going to have to build some sort of add on or some sort of complicated scripting in order to get that working. Tom: 23:35 Which at that point, you’re better off just, I don’t know, building your own productivity software at that point. Brian: 23:43 I mean, you can also use something like Zapier. It does integrate well with Google Sheets. I think you’ll probably end up creating a lot of rules potentially to kind of get what you want accomplished. But that’s again something that everybody doesn’t have access to. Everybody’s not seeing how those things are flowing, so it’s a little harder to use something like that. But you’ll probably do some of it there. Brian: 24:00 Seeing how those things are flowing so it’s a little harder to use something like that, but you probably do some of it there. I mean I think automation is one of our favorite topics and even like going back to the manual process, we’re talking about the drop off, something like automation actually helps solve that problem. So, even if you put a piece of technology or a piece of software in place that is PM focused or is going to help you manage your tasks and all that stuff, you still sometimes have that potential for drop off depending on how you’re communicating your process, what your process is. So something like automations, which [Rindle 00:24:32] is big on. We kind of built our platform around it for that reason, but it really helps you kind of fill those holes and again, let people focus on the tasks at hand and not focus so much on the process and you don’t have as much drop off or kind of these issues that happen. Tom: 24:47 We discussed this and in episode 12, and even in some other episodes that we’ve touched on this thing, so it’s definitely something that can help increase productivity in that way and kind of solve those problems specifically designed for that. So the other point, and it really goes back to this demo because we talked about that priority sheet and they were copying, pasting these tasks right from the client sheets up to the priority sheet and it’s in something like Rindle, we have mirrors and I did point out that mirrors would be a perfect solution to actually create this priority board and leverage automations to basically leverage tag as a trigger. So you could say every time a task, no matter where it is, is tagged with priority, basically create a mirror on this priority board of that task. Brian: 25:37 So this way I just the person who, the manager who had to decide what the priorities were, they had to do that anyway, right? They can live, literally go through the dashboard tool and Rindle, right? Look at all the tasks across, all the boards, whatever mark things down as priority by tagging them and then the automation will trigger the mirror onto the priority board and because it’s a mirror, you’re not copying any of the data. Right? So the issue they had with, copying rose and pasting it into priority board and then they get disconnected. That doesn’t happen. So not only they don’t have to copy it, but it does show in a priority board now and it actually is a mirror of it. So when they update data from the priority board, updates on the client board. Tom: 26:16 Well when they mark it complete, it gets marked complete both leases when they changed the due date, it gets, the due date is added in both places. When a comment’s added, it’s added in both places or a sub task, which is just awesome, and it’s not actually adding into both places. You’re actually just looking at the same, same task in both. Brian: 26:32 Yeah, and then to further that point, this person also asked, well okay, that’s great that the mirrors and everything, but then I still have two boards with date on it. Well that’s where again, automation is coming because you can set up a rule that says on a priority board, hey, when a task is mark complete, it could have been more complete from the client board, right? Just move it to the done list automatically. So this actually, by leveraging automations, that person now avoids those extra of being like, well I marked to complete in the client board, ooh remember to go to priority board and move it to done because I want to make sure they see not only is it complete but actually move it along in the process. Right? So you can actually have automations trigger based on the different things. Brian: 27:13 Same thing with priority board. If you mark it complete and priority, you know, move it to done but also move the Mirror on the client board. Also move that to done. So you’re actually moving things across different workflows at the same time with the same click. So again, just saving that data entry, that multiple multi point manipulation in the long run by using something like mirror. So, it was really great to kind of have that conversation because, the whole point of us building, like I said, these automations mirrors was to avoid these problems and to be able to apply it to their exact use case was, was really cool. So, it really was helpful to the problem at hand and did solve the and ultimately was the solution. Tom: 27:54 Yeah, and I know we’re talking about Rindle a lot and mirrors specifically, but we should probably actually have an episode about why we actually, developed mirrors and the fact that we kept hearing from people and having this in our own, project management type careers, right where double data entry happens all the time and things get disconnected and we wanted to solve that problem, and that’s what mirrors were created to do. Brian: 28:24 Yeah. It actually would be probably fun to do an episode on, like I said, why we did, why we create a mirror, our past experience and the use cases for mirrors because I think people do want, you know, we know, they do want to see data in different places for various reasons, there’s, there’s lots of use cases around mirrors and a lot of systems just still don’t make that easy. I think it would be really interesting to talk about like, how we use them of course, like why we created. I’m more use cases of them because I do think that this problem happens often and I think a lot of people just like, I’ll just copy and paste and manually update it. Right. We don’t think of it and then it causes problems and we kind of just deal with it, but we could really enhance a workflow with those kinds of things. Brian: 29:18 If anybody’s, is updating data in two spots, make it stop. Tom: 29:25 Well, it’s only a matter of time until it does just stop on its own. Like I don’t know anyone that ever really continues to do that for longer day. Brian: 29:32 Whatever the solution might be, make it stop because it’s really just, it’s so wasteful and they’re there. There probably a lot of ways you could figure out how to solve the problem. But yeah. Tom: 29:44 yeah. All right, so let’s hop into some tips for taking action. Brian: 29:48 Cool. If you’re going to use spreadsheets, which sometimes that’s the choice for various reasons. We’ve talked about some of the upsides even though in the long run there may be downsides. Try to keep it simple. If you’re trying to build a complex workflow or are complex project management set up out of the gates, you’re probably gonna find it very difficult to begin with, but if it is like we talked about a stop gap or something, you’re just temporarily doing, just keep it as simple as possible. Don’t invest too much time into making it too complex and and making all of these things, try to talk to each other and all this stuff that just try to keep it super simple so your team can basically plug that hole, collaborate, solve that problem for the short term and then focus on getting whatever platform, whatever you’re looking at in house. Tom: 30:35 I think that that’s a good way to know that you actually need to probably use some sort of platform is when you are trying to do like some sort of hack, like hey, I need to get some values off of these random spreadsheets over here on this other spreadsheet. Like automatically, like there’s something wrong, right? You’re probably trying to do too much with spreadsheets at that point. Brian: 31:01 Yeah, and making that investment into that ultimate solution, right? That is going to make you more efficient. Whatever that solution might be is really ultimately where you’re headed. Most likely, unless you’re, you know, you have this simple workflow that or the simple task list or something that is just always going to be that simple, which is great, but most times we find that we see things get more complicated, not less complicated. As you get more clients, as you get different projects, whatever the scenario might be, you build new features, right? Things just inherently kind of get a little more complex so you eventually reached the end of that. So the investment into an application that can actually handle projects and workflows is probably the smartest thing you could do. And you start thinking of that as soon as possible. Tom: 31:46 Yeah, and there’s always gonna be this learning curve to anything and then this time investment in switching to a piece of software or trying out a piece of software and then choosing to switch to it, but I think you want to do that early, especially before things start to get how to control, right? Because it’s going to be really difficult if you’re trying to manage all this work and then you like and you’re growing and then you also are trying to like learn a new software and like kinda build your workflow around that new piece of software, like make it easy on yourself, like just bold and do it earlier rather than later. Tom: 33:10 Yeah. We also very often will take like data dumps from like reports that I run like through my sequel and actually just drop it right into a spreadsheet and then manipulate it there because it’s just easier for us to collaborate in both use it and do whatever we need to do from there. Brian: 33:31 Another example of how we use it. We’re doing some pricing research actually right now, looking at competitors, look at how different products, pricing solutions and we’re using a spreadsheet to basically create that Matrix and that grid so we can capture that data, basically how’s it somewhere and then have it as a reference point for conversations and for other content creation. So it’s great just for that kind of data storage and manipulation if you need, like Tom said, to sort a bunch of data or do any kind of calculations, it’s like, perfect. Tom: 34:02 Well, I think that about wraps us up for the day. If you have a question for us, you can call into her voicemail number, right? 8605772293 or you can email it to us at workflow@rindle.com. Our theme music is an excerpt from thunder rock by magic studio used under creative comments, subscribed to us on iTunes by searching for workflow and visit rindle.com/workflow-podcast for a full transcript of each episode. Thanks for listening and we’ll see you next time.